Businesses today are overwhelmingly taking full advantage of the benefits associated with social media. When you think about social media marketing, LinkedIn probably isn’t one of the primary platforms you take into account, such as may be the case with Twitter, Facebook and other popular platforms. However, LinkedIn has more than 500 million users around the world, making it the largest business to business network worldwide. While it may be used largely by job seekers and recruiters to connect with each other, it can also be an excellent marketing tool for your business when used properly. By learning more about how you can use LinkedIn to connect with your target audience, you may be able to develop a more effective social media marketing plan that takes full advantage of what LinkedIn offers. Let us see what you can do. In order to maximize the benefits associated with using LinkedIn for marketing purposes, you must have a large following of individuals in your target market. You may be able to expand your reach on this platform by connecting with industry-related companies and colleagues as well as by connecting directly with some of your top clients. You may also connect with your own employees to improve your visibility on this platform, and you can even connect with media professionals or journalists. Be aware that 92 percent of journalists have a LinkedIn account, so this is an excellent way to stay in front of these professionals and make them more aware of what is going on with your business. With all that in mind, you should be aware of the many ways you can use LinkedIn to connect with others, such as through an invitation to connect with you, the request for an introduction, InMail and more. You can also start a new group or join an existing one on LinkedIn to participate in discussions or provide useful answers. Remember that using this platform in numerous ways can make you more visible online. This can help you to transmit your marketing messages to your target audience. If you plan to use LinkedIn for marketing purposes, you need to create a professional and complete profile: it’s the first thing that other people see, so don’t neglect this seemingly banal point. Ideally, this profile should have at least one professional image, such as a corporate logo. It should also have your company’s physical and website addresses and should be search engine optimized with relevant keywords. Keep in mind that your LinkedIn profile page should contain a link to your professional website as well. The best LinkedIn profiles also have a fascinating or captivating headline that is supported by real-life work examples, such as case studies or links to published articles. You can also use polls, images, videos and other elements to make this page more appealing and informative to your target audience. Remember that your business’ profile page is a great opportunity to make a good first impression. One of your primary goals on LinkedIn should be to get recommended by your contacts and colleagues. This enables you to use your social media profile to expand further into the marketplace, so it is a form of word-of-mouth or referral marketing that is highly effective. Remember that you must satisfy your customers in every way to be recommended by them. This includes impressing them with a great product or service as well as with friendly, helpful customer service that never fails to exceed their expectations. Sharing useful content on LinkedIn adds value to your customers: it encourages them to keep track of your page and to recommend it to others. So, while considering what kind of content to provide, you might employ creative thinking and regard LinkedIn as an ed-tech platform. This is actually an excellent tactic as LinkedIn users have a business mindset and appreciate relevant information rather than pushy sales. So, use your status updates to share valuable, educational content: create actionable tips, give useful advice, provide industry news, and so on. 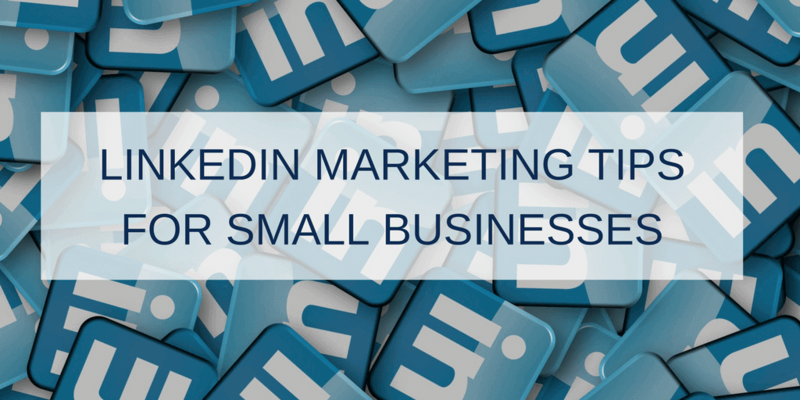 You can post all that on your website and share links on LinkedIn. In any case, if you make an effort to educate others, you will be highly regarded as a thought leader in your field. You should use LinkedIn as an opportunity to help your customers as well as to show off your corporate personality and refine your brand image. Cross-posting articles and getting recognition from LinkedIn editors are great ways to maximize the benefits associated with LinkedIn marketing. Your primary focus with LinkedIn marketing should be free marketing efforts through posts, shared content and more. However, you can also pay for display advertising on this platform, which may be highly effective: properly designed and placed ads can drive traffic to your website. They can also be used to raise awareness or to share important content with others beyond the circle of your followers. These are usually pay-per-click campaigns, so you may be able to focus your attention on specific groups while also controlling the cost of your marketing efforts. LinkedIn may not be the social media platform that you most commonly think of with regards to corporate marketing, but you can see that this platform can be highly effective in many ways. This is, after all, a platform that is strictly devoted to business. In order to maximize the power that LinkedIn marketing offers, you need to take time to develop an excellent profile and to build your network of connections. From that point, you can maximize the benefits associated with creating and sharing content and taking other related steps. If you do all that, this platform will be an excellent addition to your current marketing efforts.